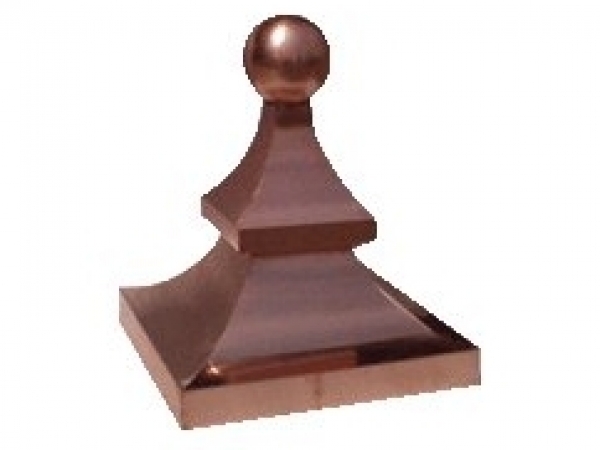 A copper finial puts the finishing touch on any roof line! Purely decorative, copper finials help to draw the eye from open, expansive roofs. Our spires are made from 16 oz. copper and soldered together. 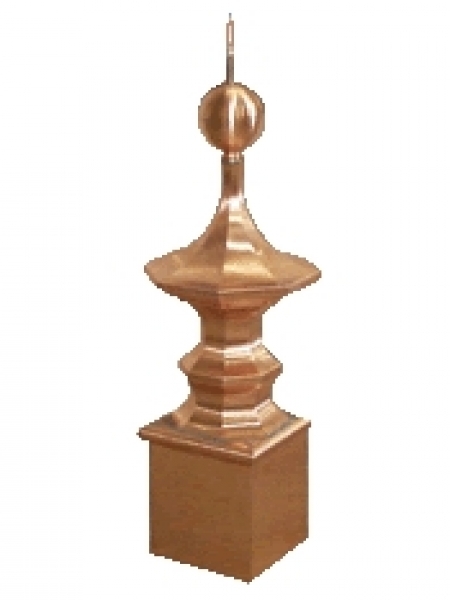 We offer a variety of finials for all roof styles, applications, and price points. These items are custom fabricated. All roof finials can be modified to receive copper cable for lightning arresting systems. If you do not find a style that meets your requirements, send us your design and we will custom fabricate to suit your needs. Please call for availability and pricing for lead copper finials.